Building turbines out at sea is an expensive business, costing millions and producing a landscape that many are unhappy with. The perennial problem of how to utilise the power of one of our most valuable and readily available resources – the wind – has taken a turn for the more eclectic recently. Whilst some scientists are looking at how underwater kites can make a difference to energy production, others are going the more obvious route. Could offshore kites harness the power of the wind and become a major player in the energy market? It’s been tried before but with various problems to overcome no one has yet come up with a successful solution that provides enough power to make production viable. Bill Hampton is your archetypal inventor with plenty of enthusiasm and a gift for thinking out of the box. In his home county of Essex, he’s often seen flying a kite, trying to work out the best and most efficient way for harnessing all that potential power. His company, Kite Power Solutions, is relatively new but is making great headway in developing the technology that could well revolutionise wind power in the very near future. According to Hampton, using kites has a number of distinct advantages over traditional wind farms. First of all they are more mobile and can be connected to a floating platform rather than a rigid construction. Secondly they aim to reduce the cost of wind power production by as much as 40% when used off shore. Hampton is no stranger to innovation and he worked for a long while in helping to design and construct luxury yachts before deciding to set out on his own. Developing the power producing kites wasn’t purely a desire to make a contribution to the landscape of green sustainability. It was far more about the technical challenge of developing a new technology. His ideas have been so well received that oil giants Shell and the Department for Energy and Climate Change have both helped add investment monies of £3 million in order for the research and design team at Kite Power Solutions to further progress their work. His plan is to develop a kite network off shore that can in part replace the expensive turbines already constructed. In its current incarnation, two kites are attached to a platform and fly in a figure of eight, turning a tether to drive a turbine. 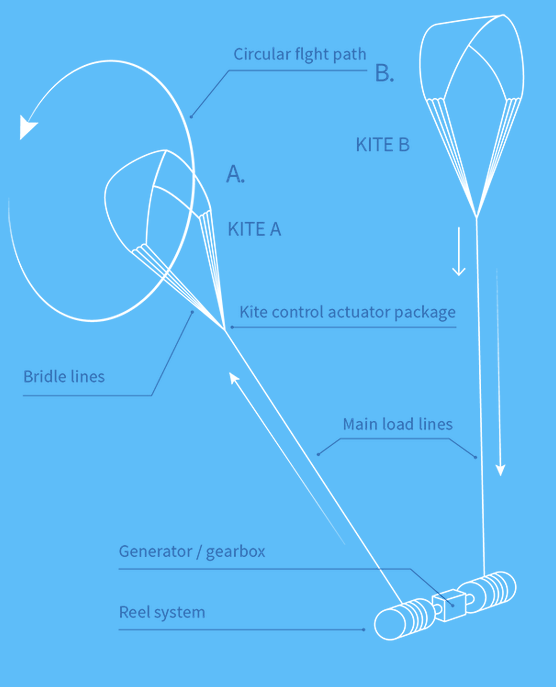 The kites can be winched in and out to gain the maximum wind power to generate a significant amount of electricity. At full production they will be able to reach a maximum height of 750 metres and will be in the region of 40m wide, able to generate in the region of 2-3 MW. There are of course a few hurdles to get over before we see the first kites off shore. First of all there is the impact of storms and particularly lightning strikes as well as how to co-ordinate a number of kites automatically and without collisions. Hampton is confident that all these problems can be overcome. 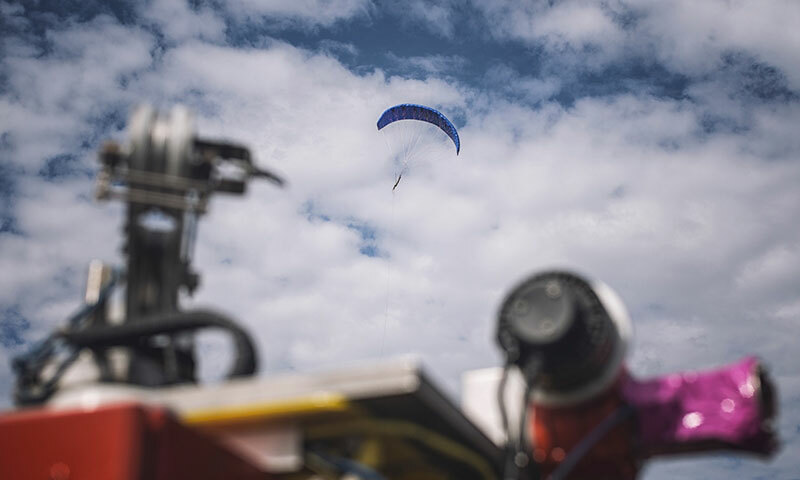 Of course, the team at KPS are not the only ones trying to harness the energy of the wind using kites – Makani have teamed up with Google to undertake a similar project. It may not be long before we see impressive looking kites on the skyline, driving power to our homes and lighting up our streets. Previous PostPrevious Who’s Fighting Back Against Renewable Energy Cuts?